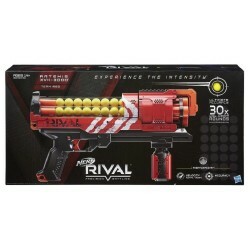 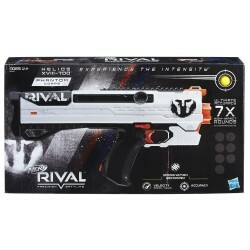 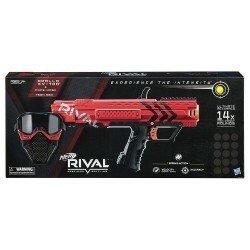 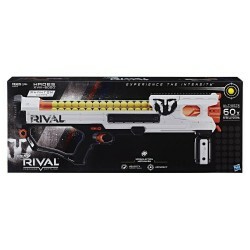 Take aim with the Nerf Rival Apollo XV-700 blaster and experience the intensity of precision battling. 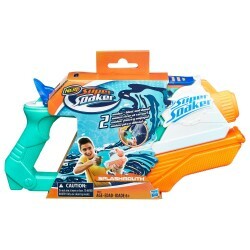 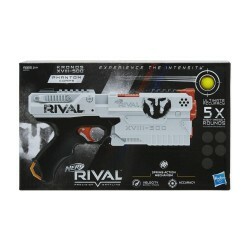 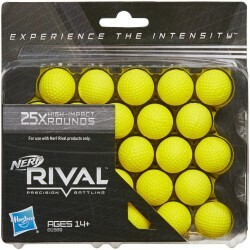 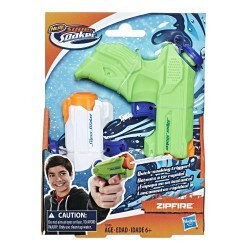 This Nerf Rival blaster unleashes high-impact rounds at a velocity of 100 fps (30 MPs) with impressive accuracy. 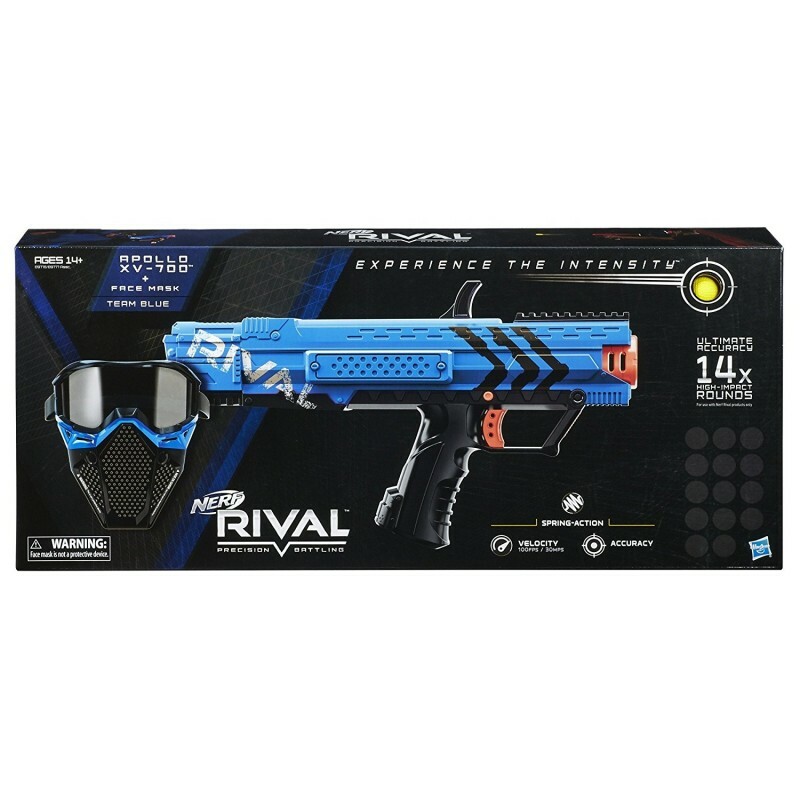 Whether the competition is a 1-on-1 battle or a squad-sized skirmish, the Apollo XV-700 blaster brings exciting intensity to the action. 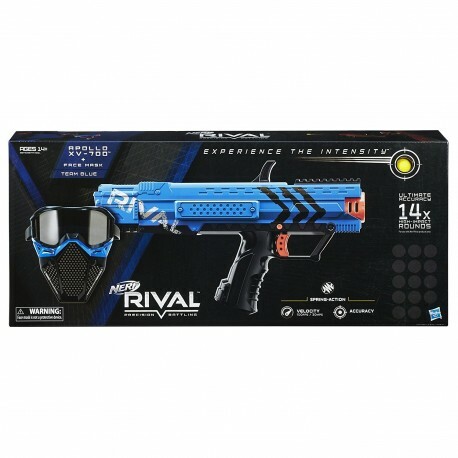 Go into battle as Team Blue with this version of the Apollo XV-700 blaster and face mask.